When you’re a father, you’re expected to make sacrifices for your children. Sometimes, this includes taking them to see their favorite boy band or some other kind of pop music that you’ve never heard of. You probably won’t enjoy it and you’ll spend the whole time wishing you were anywhere else, but it’s your job to try. These dads are demonstrating what it means to love their daughters unconditionally and are putting their mind and bodies to the test to do so. 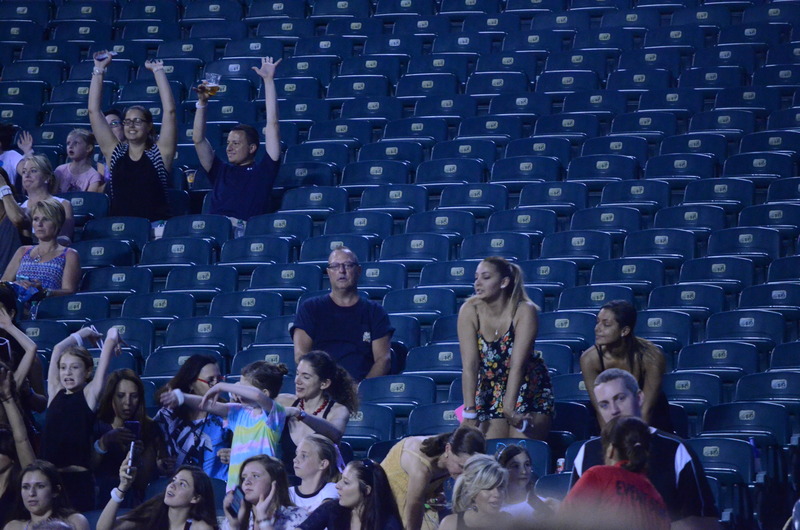 These are some of the bravest and most dedicated dads attending a pop concert with their daughter. Some dads will do anything it takes for a minute of peace and quiet. This is the look of a man who has admitted defeat. He’s on the phone, but it’s unlikely that he can hear anything over the shrieks of the little girls around him, or the music coming from the stage. On the bright side, he has somewhere to sit; not all dads have that luxury. You can’t help but feel sorry for this dad. 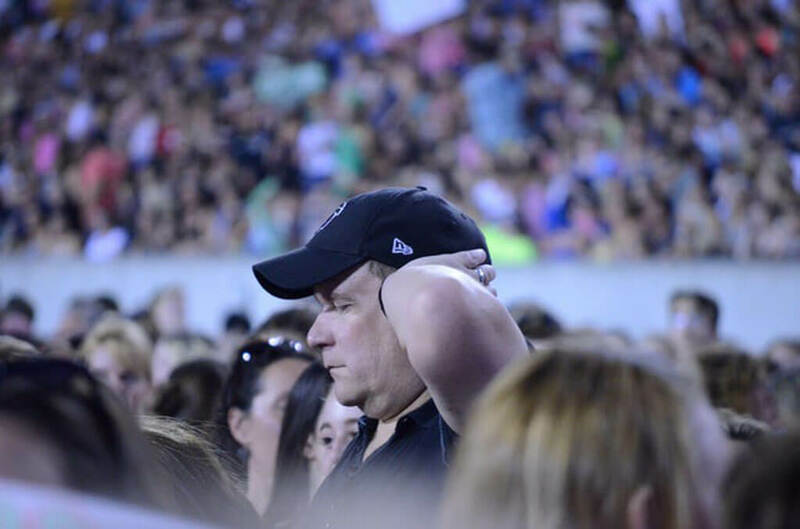 Even with the earplugs, he can’t escape the noise, heat, or the fact that his back is about to have a serious spasm. This is a genuinely dedicated father whose only option left is to pray. 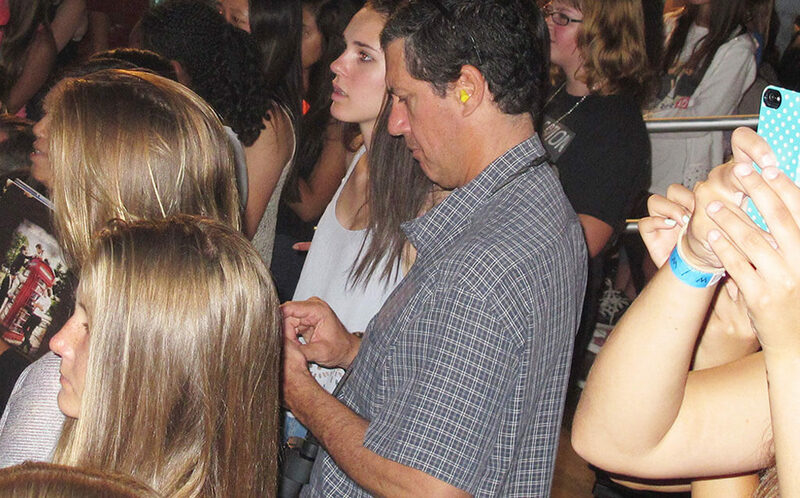 This dad is taking a breather and charging his phone in peace while the concert rages outside. Chances are his phone didn’t even need charging, he probably just needed a second to himself to catch his breath and collect his thoughts. Then it’s back out into the madness. Sunglasses are a must for some dads. 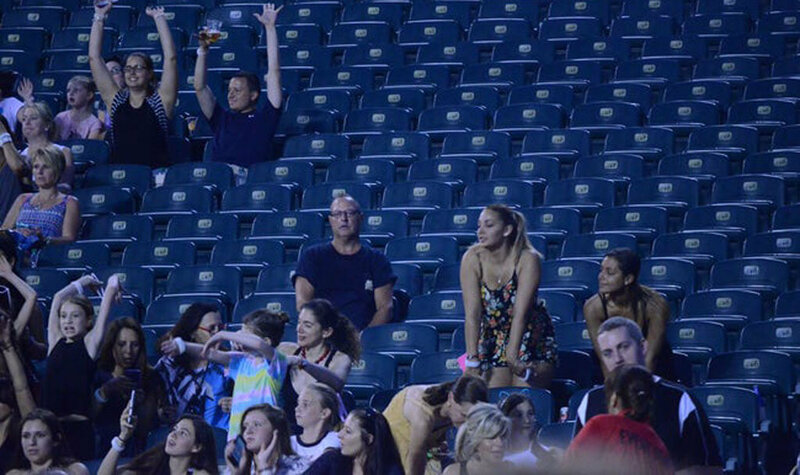 If you’re going to take your daughter to a concert, you might as well bring something to entertain yourself. 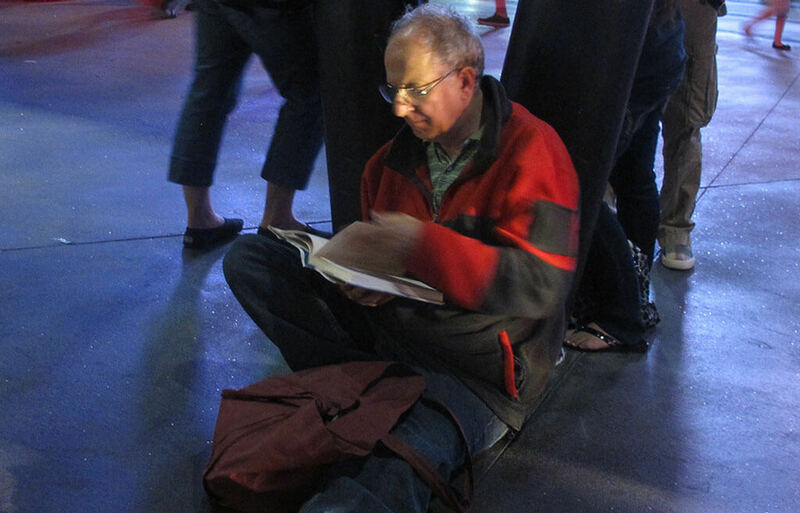 If that means sitting down on the ground to read your book then so be it. Although this isn’t the worst idea, he probably could have found a better place to sit, so he doesn’t get trampled by a bunch of tweens. Sometimes, sunglasses can come in handy. 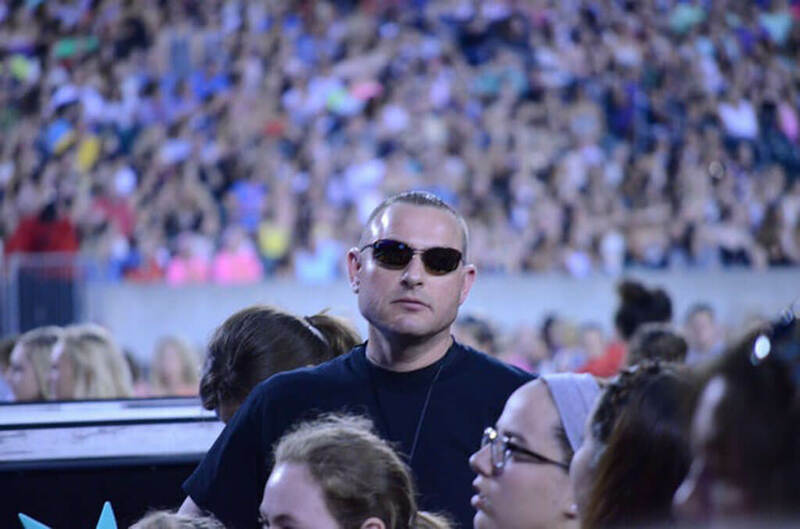 They can help block how you’re feeling, and the chances are that this dad is crying behind his sunglasses. They’re also good at intimidating younger boys that might be getting a little too close to his daughter. This poor guy is lost in a sea of young girls watching a band that he knows nothing about. He’s hot and sweaty with little girls brushing up against him in every direction. 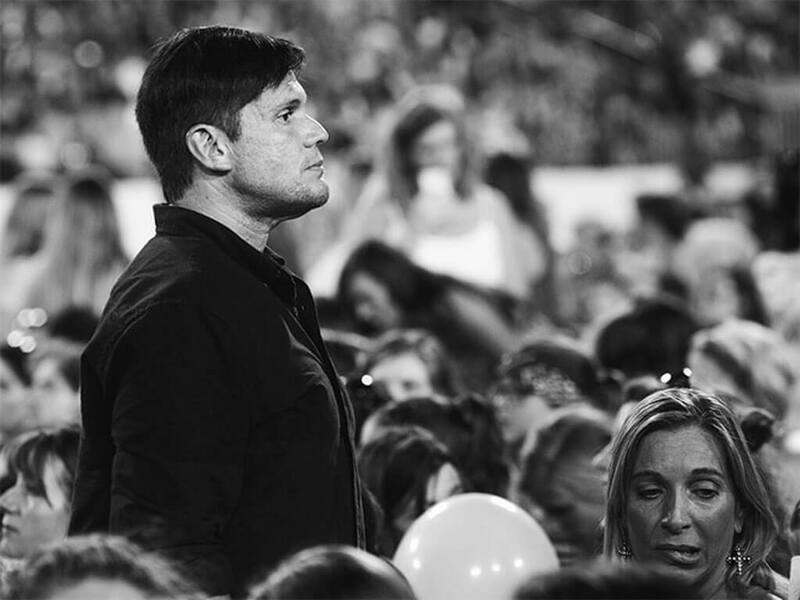 This man deserves more than just a “thanks, Dad” when they get home from this concert. 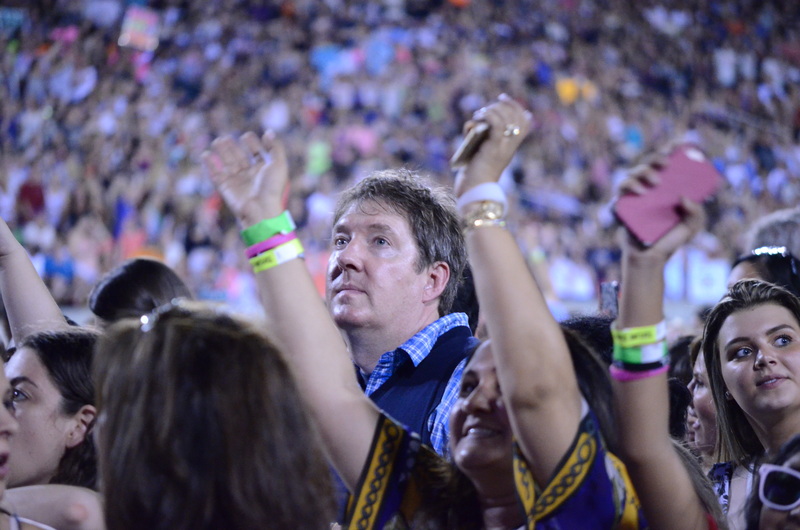 It looks like the lights just came on in the stadium, and this dad just realized what he got himself into. There’s no easy way out at this point, so he’s in it for the long run. All he can do is hope that he still has his hearing by the end of the show and ask for a back massage when he gets home. This man has nothing to distract him from the chaos around him except for his cell phone. Hopefully, he has a lot of games on there, because it’s going to be a long night. 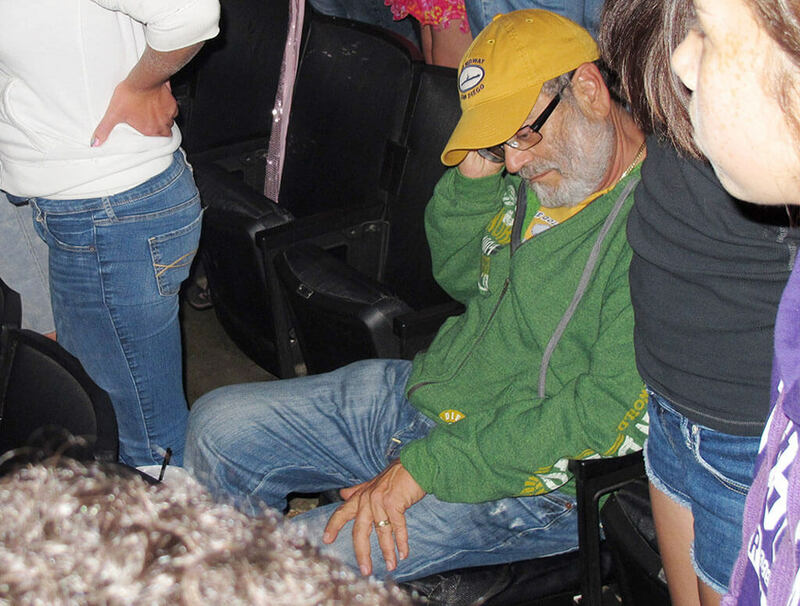 The only problem is that nobody ever has service at concerts, so he may be out of luck. Just when this dad thought his night couldn’t get any worse, he remembered the horrible parking lot traffic he’ll have to endure to get home. His daughter will most likely pass out from exhaustion, and he’ll be sitting there in traffic with his ears ringing all the way home. Crossed arms is never a good sign. The crossed arms and the look on this dad’s face tell all. 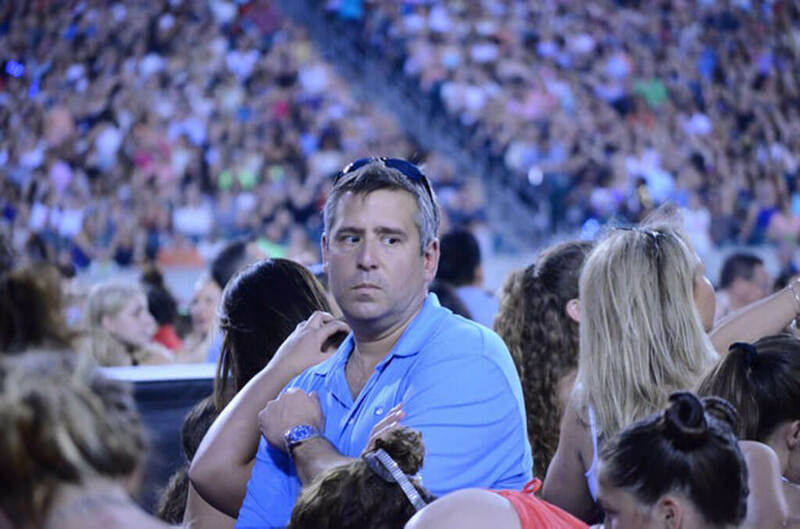 He doesn’t want to be here, he’s tired, and his daughter probably just cost him $60 for soda and snacks for her and her friends. 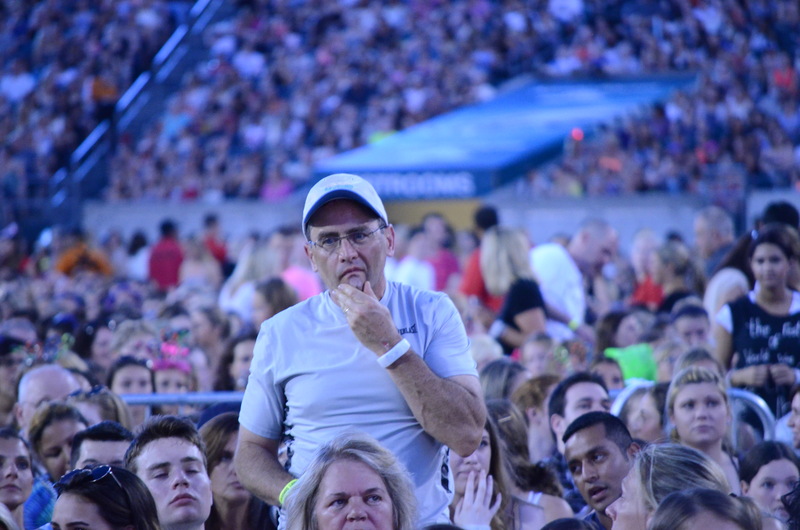 He’s counting the minutes until its over and is making his wife take her to the next show. This dad has all of the other dads outsmarted. 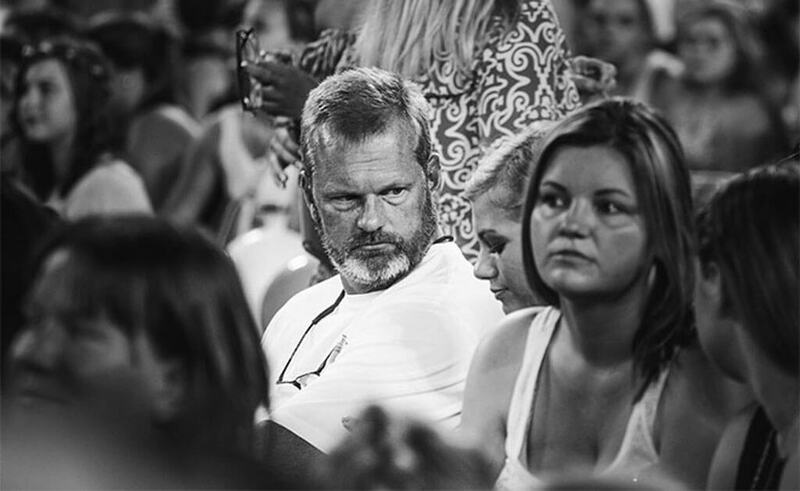 He can keep an eye on his daughter from a safe distance and can sit down and take a load off. Here, he can get out of the fray and maybe even have a nap. And it was at this exact moment that this dad realized he left his flask of whiskey in the car. Now, he has to spend $20 for each drink that has less than a half of a shot in each. He doesn’t know whether to laugh or cry, but maybe he’ll make a friend in the crowd. This next dad looks like has a real dilemma on his hands. By the looks of it, this dad just got he and his daughter to their seat only to doubt that he locked the car. He has the choice to either face the crowds again or to take his chances. This is a tough decision, and we’ll never know what he decided to do. This is the face of a dad that has given up all hope. There’s no point in even faking having fun because it’s too much effort. 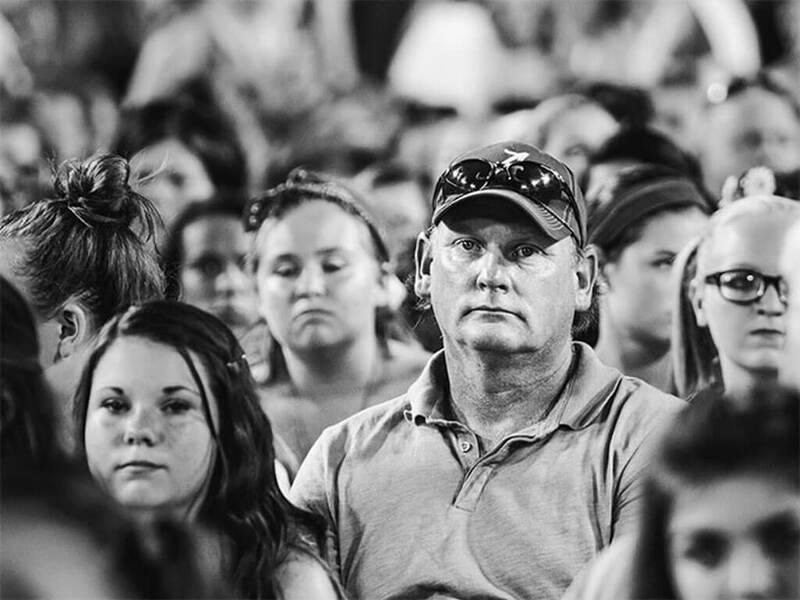 His daughter is looking at him happily, and he seems unimpressed by everything going on. 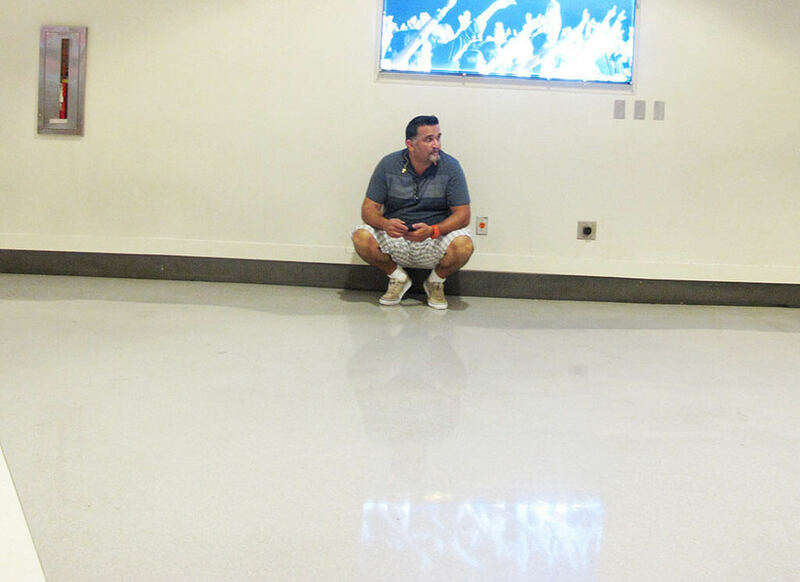 This isn’t like the concerts he used to go to. Hopefully, this man is okay. We can only imagine what this man is being subjected to at this moment. 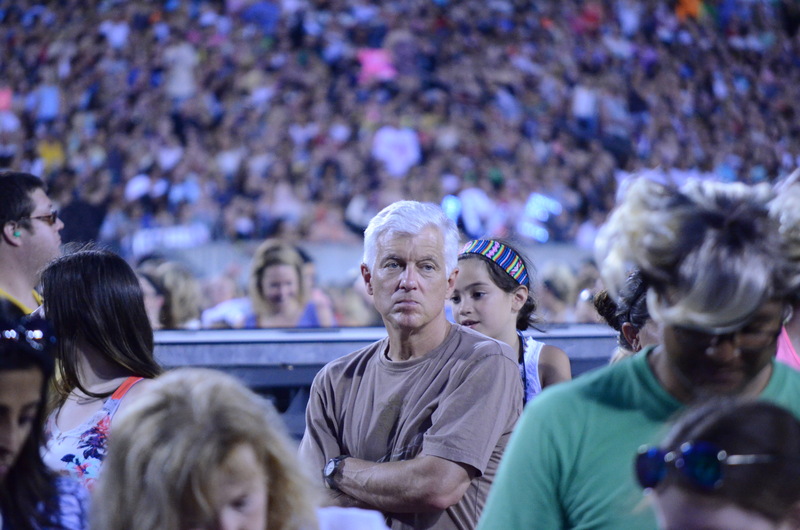 It looks like he’s living through one of his worst nightmares and all he wants is out. 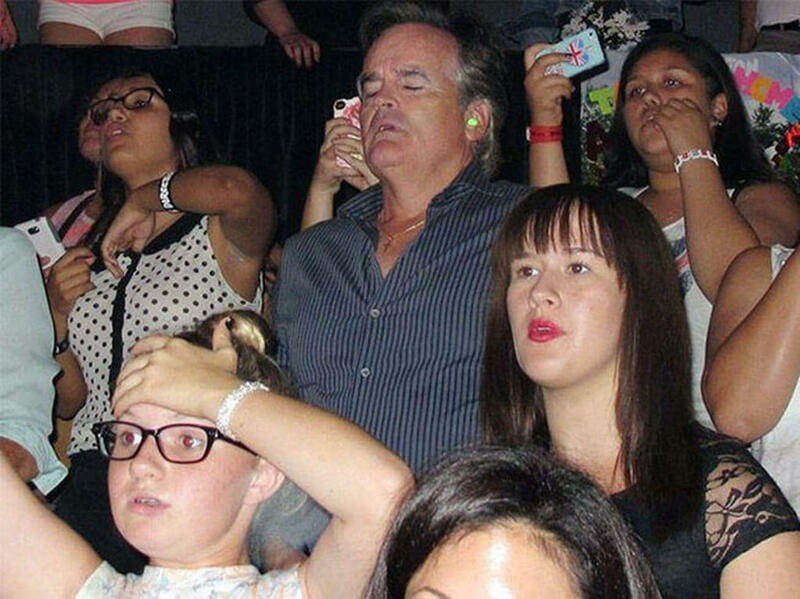 His daughter better be more than grateful for her dad if it’s so awful that he has to cover his ears. Someone get this man some ear plugs! At this moment, this dad is trying to find his happy place to stop himself from breaking down and crying. It’s been a long night, and he missed wing Wednesday with the boys for this. 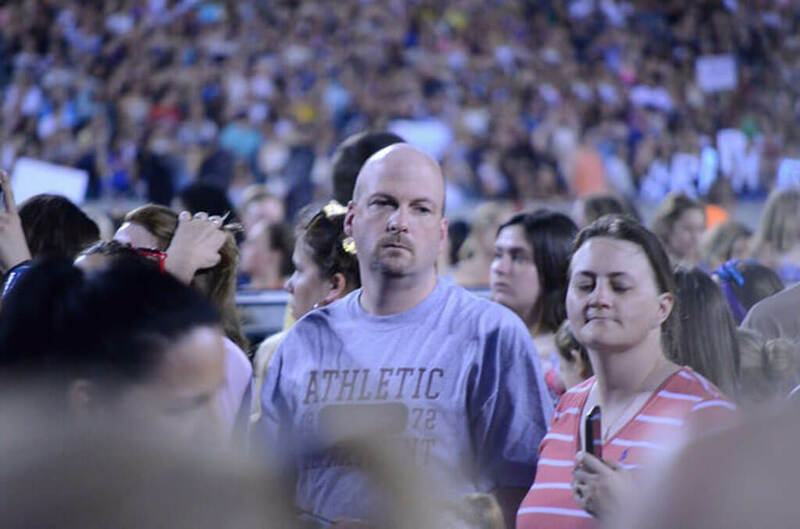 You can tell by his eyes that he’s ultimately defeated and this will be the last time attends one of these concerts. 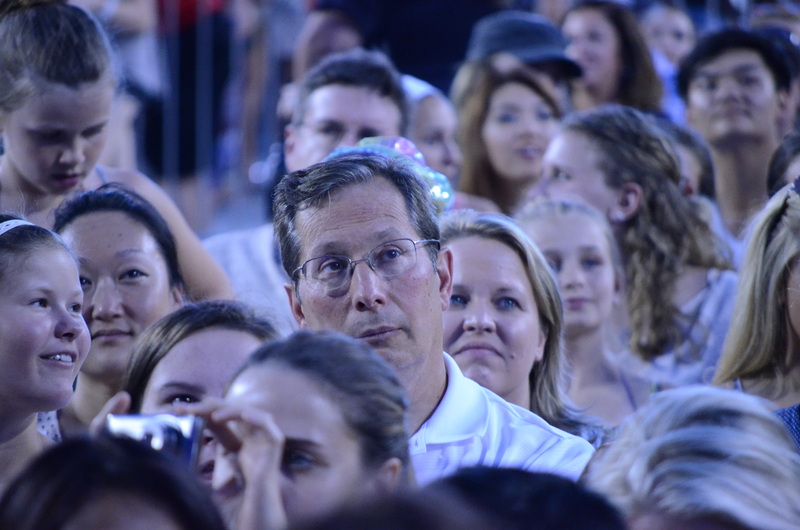 While all of the girls around him are singing and dancing along to the music, this dad is staring blankly at the stage. Nothing is being processed anymore because nothing makes sense anymore. 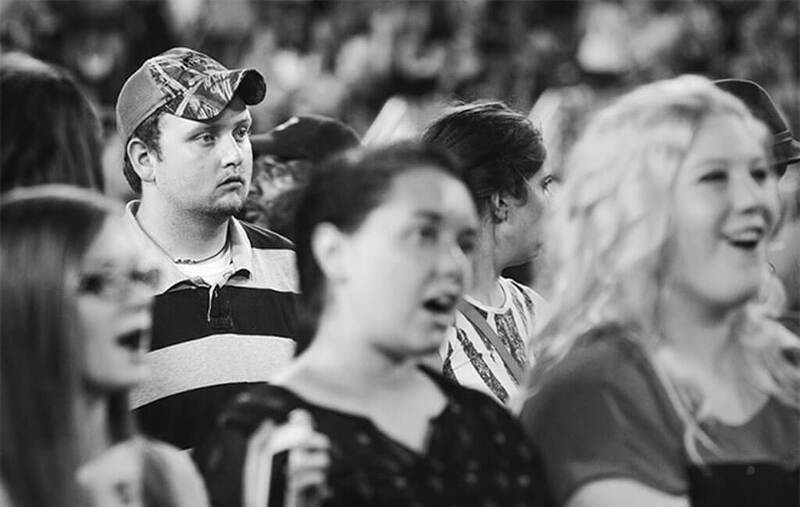 He doesn’t know any of the music, and he’s simultaneously experiencing an existential crisis. That’s it. This guy has had enough; he needs to get out of here pronto. He stands up to look for an exit only to discover that he is completely trapped. There’s no way out unless he wants to barge his way through groups of 11-year-old girls. His best bet is just to wait until it’s over. 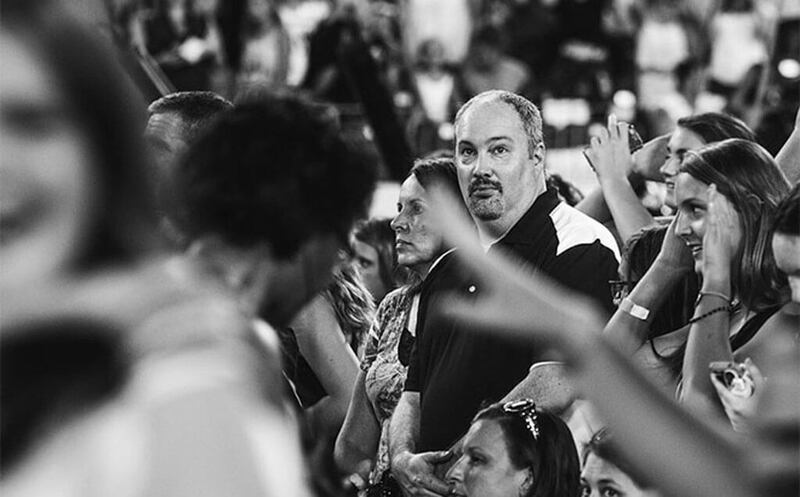 By the way, this dad is looking at his daughter; it’s apparent that he’s not very happy with her. She probably tricked him into going, and he’s only now realizing what he agreed to. At this point, he’s gone too far, and there’s not much he can do to improve his current situation. This is the look of someone in complete disbelief. Chances are the band just came on, and this is his natural reaction to the situation. It’s a combination of dread and disbelief that anyone actually likes this kind of stuff. 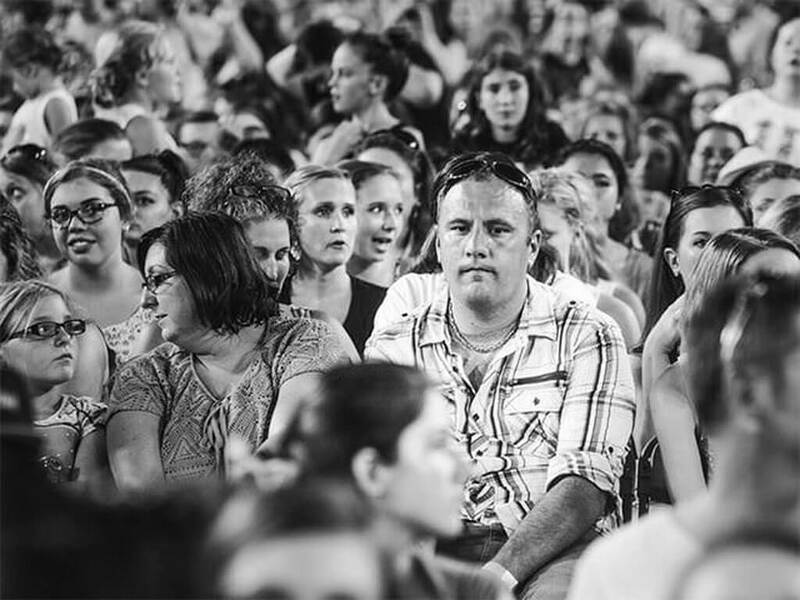 While the girl next to him is having her mind blown in a good way, his is melting in a bad way.